Amanda Valdez’s practice focuses on energy, mergers and acquisitions and project finance. 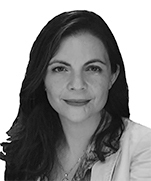 She is generally recognized as a leader in regulatory matters of the Mexican energy sector and is also very active in project finance transactions for a variety of industry sectors. Amanda has been involved in a wide variety of matters relating to the Mexican energy sector, with special emphasis in regulatory affairs to the natural gas and power industries. Her expertise in the energy law field includes large border-crossing pipelines, gas distribution system, LNG projects, independent power production projects, natural gas and power imports and exports, inside-the-fence power generation projects, renewable energy projects and government procurement deals with Pemex and Comisión Federal de Electricidad. Her practice in these fields includes project development, transaction work, project finance aspects, regulatory issues, rate cases and corporate structuring for multiple domestic projects, US-Mexico cross border projects as well as projects in the Caribbean. In addition, Amanda has participated in numerous financings, representing either lenders or borrowers, not only for the energy sector, but also financings related to the steel manufacturing sector, hotels and resorts and real estate developments. Represented a Spanish company in connection with the development, permitting, financing and operation of one of the largest wind farms in Latin America, including negotiation of PPAs and regulatory work. Represented GE in the latest nuclear repowering bid called by CFE, and in the Agua Prieta solar and combined cycle power project. Representing a large Japanese company in their participation on IPP bids and a wide variety of legal issues arising in connection with the operation and maintenance of the six IPP power plants where they hold an interest. Assisting a large US renewable energy company in connection with the drafting negotiation and execution of agreements to obtain real estate rights for the development of renewable energy projects in various areas of Mexico. Assisted a German company in connection with regulatory aspects of a small-production power generation project in Baja California. Assisted a German company in connection with the permitting and development of an inside-the-fence cogeneration project. Assisting a Mexican/American joint venture in connection with their participation in the long-term auctions called by Mexico’s ISO. Assisted a large EPC contractor in the negation and execution of EPC contracts for two wind farms in Nuevo Leon Mexico, as well as a wind farm in Oaxaca, Mexico. Successfully represented the shareholders of a major drilling fluids company in the sale of the company and its subsidiaries to a major onshore and offshore oilfield services company. Represented a Japanese consortium in the partial sale of a participation in a Mexican power generation company. Represented a private investors’ group in the structuring and sale of their participation of an oilfield services company to a major Mexican business conglomerate. Played a major role as counsel in connection with the leveraged acquisition of a portfolio of five IPP power projects and a natural gas pipeline in Mexico, with an aggregate capacity over 2,200 MW. The transaction involved considerable financial, regulatory and transactional difficulties and hurdles, and closed in an amount in excess of US$1.4 Billion. Assistance included the successful financing of the acquisition with international lenders, led by JBIC, for a $750 Million financing that included the structuring of very innovative schemes. Assisted a European renewables company in the due diligence and acquisition of three renewable energy power production farms in Mexico in excess of 150MW aggregate capacity. She has played an instrumental role in the implementation of a number of natural gas transportation pipeline projects in Mexico for over more than 15 years, where she has provided highly specialized regulatory and structuring advice during the development and project execution stages, as well as during operation. Extensively participated in the negotiation of Engineering, Procurement and Construction Contracts (EPC) and in Operation and Maintenance (O&M Agreements) for pipelines and associated power facilities. Assisting gas marketing companies in developing business models and strategies to enter the Mexican market following the energy reform. Assisting a large industrial group in the negotiation and execution of gas supply and transportation contracts for the supply of natural gas to a 1000 MW combined cycle power facility in Monterrey. Nuevo Leon. Represented a Spanish company in the financing of a 250MW wind farm in La Ventosa, Oaxaca. Represented a Spanish company in the financing of three IPP wind power projects in Oaxaca with an aggregate capacity of 300 MW, including the negotiation and closing of a credit facility by BBVA Bancomer and Banobras for the Oaxaca III wind farm, and the issuance of project bonds in the New York market to finance the Oaxaca II and Oaxaca IV wind farms. Represented Ohana Real Estate in connection with the US$150 million financing granted by Goldman Sachs for the development of a luxury resort in Los Cabos. We represented Mitsui & Co. Ltd. and Tokyo Gas, in connection with the leveraged acquisition of a portfolio of five IPP power projects and a natural gas pipeline in Mexico, formerly owned by Gas Natural, with an aggregate capacity over 2,200 MW. Our assistance included the successful financing of the acquisition with international lenders, led by JBIC, for a $750 Million financing that included the structuring of very innovative schemes. Represented the lenders that provided financing to the consortium awarded with the Norte II IPP project. Represented The Bank of Tokyo Mitsubishi UFJ and JBIC in connection with the US$200 million financing to Tenigal, S. de R.L. de C.V. (“Tenigal”), for its hot-dip galvanizing facility in Nuevo León. Representing The Bank of Tokyo Mitsubishi UFJ in connection with corporate financing arrangements to finance the development of new projects by a large Mexican midstream corporate group. Represented Corporación Interamericana de Financiamiento para Infraestructura (CIFI) in connection with the initial bridge loan granted to BAS Projects to finance two solar power projects in Chihuahua, Mexico. Represented US Bank, as trustee and notes collateral agent, in connection with amendments to certain Intercreditor Agreement and implementation of security interests in Mexico, securing the obligations of Springs Industries, Inc. and related parties under certain indenture. 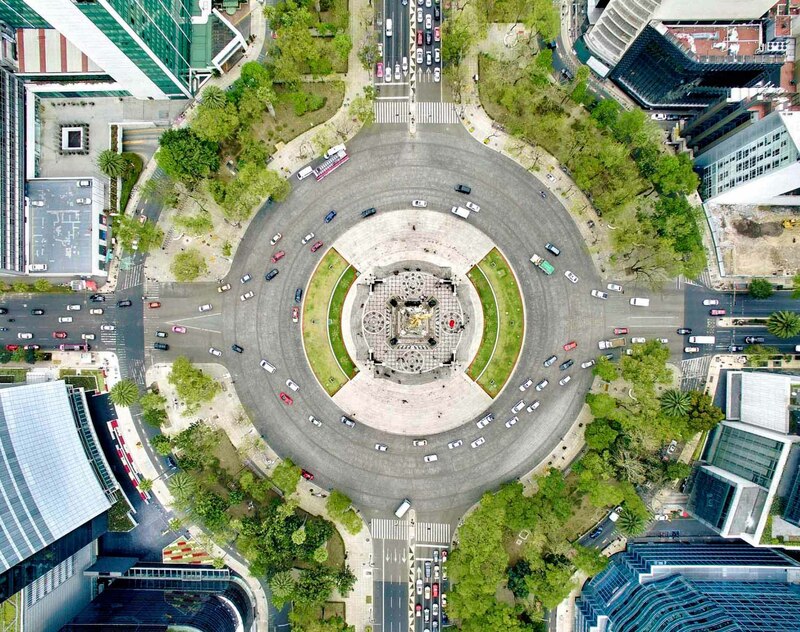 Represented Rabobank in connection with certain Senior Term and Revolving Facilities Agreement whereby financing was provided to the Visscher Caravelle Group, including its Mexican subsidiary Visscher Caravelle Mexico, S.A. de C.V. Represented Société Générale (as agent) on an extension to a US$375 million syndicated metals concentrates and refined metals borrowing base facility to Trafigura subsidiaries in Mexico and Singapore. Represented ING Bank (as facility agent) and a syndicate of lenders in respect of an extension to a US$1.08 billion metals concentrates borrowing base facility made available to Trafigura subsidiaries in Mexico and Singapore. The facility is a critical source of working capital for Trafigura, a multinational metals and energy trader. Featured by Chambers Latin America 2017 (as well as prior editions) as a recognized leader in Latin America for work in Energy and Natural Resources and Projects Development. Consistently featured for over 15 years in Euromoney’s Guide to the World’s Leading Energy and Natural Resources Lawyers. Featured the Guide to the World’s Leading Women in Law. Featured in Euromoney’s Guide to the World’s Leading Project Finance Lawyers. Amanda has co-authored several publications on project finance and various topics of Mexican energy law in publications in the U.S. and Europe.